People who have never been charged with an Illinois DUI often have questions over how the process works, and what they can expect as the case makes its way through the court system. Carbondale, IL DUI attorney Brian Roberts provides the information on this page to give you a more complete idea of what to expect when you are charged with an Illinois DUI. It is important to remember, however, that every case is different, and not all cases will progress identically. After you have been arrested for an Illinois DUI you will be booked in jail, and a bond will be set. You can usually either pay that bond directly to the jail, or pay a bondsman a lower amount to get you released. If you pay the amount directly to the jail, and you are found not guilty, your money will be returned to you. If you pay the money to a bondsman, your money will not be returned regardless of whether you are found not guilty. Upon your release you will likely be given information of where your car is located, and a notification that your driver’s license will be suspended for either refusing to blow into the Illinois DUI breath machine, or for testing .08 BAC or higher. You only have a limited time to appeal this suspension, and if you fail to file in time you lose the right to challenge the suspension entirely. You will also be given an arraignment date. The arraignment is simply a time where the court will ask you to plead guilty or not guilty, and ask whether you have hired an attorney. If you have hired Carbondale, IL DUI attorney Brian Roberts, he will appear at this hearing with you. The court will set a new court date and give the attorneys time to file motions and conduct a pre-trial investigation into the fact surrounding your Illinois DUI arrest. After arraignment both sides will conduct discovery. Discovery is where each side is required to provide a limited amount of information to the opposing side. This is done so that the issues can be narrowed down to the most important disagreements before trial, and encourage settlement negotiations. It is important to know that we cannot settle your case without your approval. Only you can choose to accept a plea bargain agreement. We will advise you, but the ultimate decision rests with you alone. There may be various pre-trial hearings depending on the progress of the case. If there are disagreements over points of law or discovery, then the court is often required to settle those disagreements after giving both sides a chance to argue their positions before the judge. The number and type of pre-trial hearings depends on the facts of your case, and the applicable law. After all pre-trial hearings the case is set for trial before either a judge or jury. At trial the prosecution always goes first, and the defense always goes second. The trial typically begins with opening statements by both sides, the prosecution presents their evidence, then we present the defense evidence. The defense is never required to present evidence in an Illinois criminal case. Whether to present evidence or not is a strategic decision that is usually made at trial. After the defense introduces all of their evidence the prosecution is allowed to introduce any rebuttal evidence. After they are done, the defense is allowed to introduce rebuttal evidence to any evidence the prosecution introduced during their rebuttal phase. After all evidence is introduced each side will present their closing arguments. Once all evidence and arguments have been made both sides have the opportunity to file motions or renew pending motions. The case is then given to the judge or jury for a finding of guilty or not guilty. If you are found not guilty you will be released from any further obligations to the court. If you are found guilty, then both sides generally have an opportunity to present evidence that may affect the length and type of sentence that will be handed down. There will typically also be a pre-sentence investigation on most felony, and some misdemeanor cases. The judge will then set a sentencing date. If you have been charged with a Southern Illinois DUI, then you need Carbondale, IL DUI attorney Brian Roberts fighting for you. Call him right now for a free, confidential case evaluation. 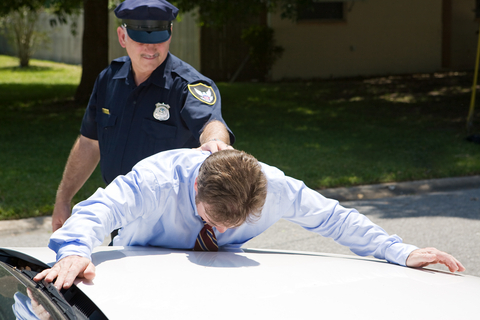 Just as not all IL DUI cases are identical, not all Illinois DUI attorneys are identical. Call right now!